No more wasted leftover wine. 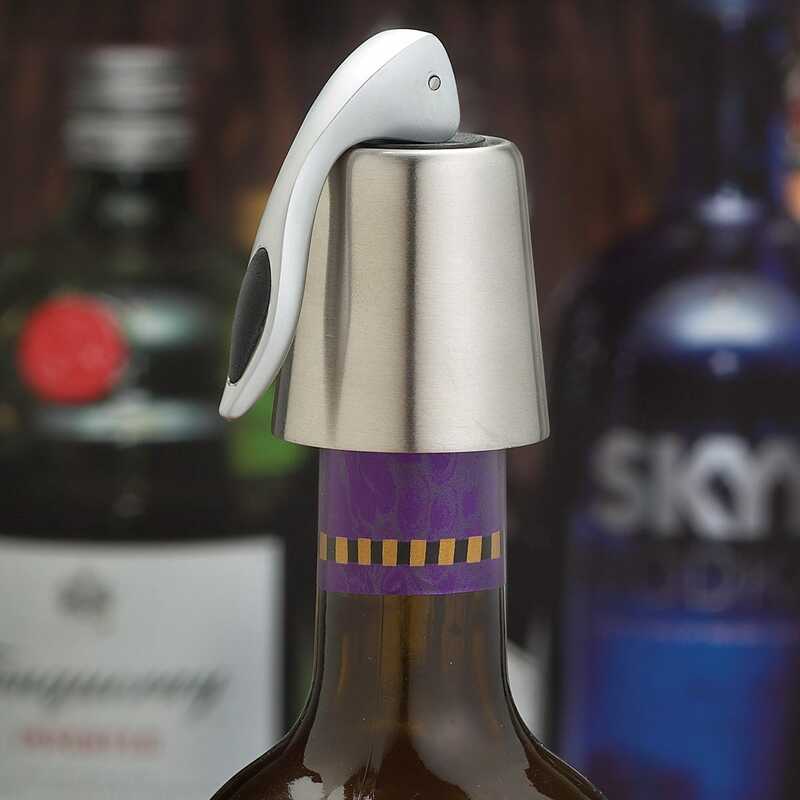 Our Stainless Stoppers create a tight suction seal to keep contents fresh for days after a bottle is opened. Fits standard wine bottles. Set of two.